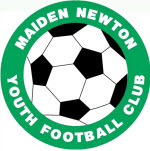 MAIDEN NEWTON YOUTH FOOTBALL CLUB ARE HOLDING THEIR 3RD ANNUAL TOURNAMENT UP AT THE RECREATION FIELD ON SAT MAY 24TH – FROM 9.30AM. Please come along and support your local youth football club - lots of great refreshments, tombola and just a bit of football with over 20 local teams competing. Perhaps some of our local businesses in and around Maiden Newton would consider donating to our tombola prizes - it would be most appreciated and perhaps worth a mention on our PA.
Drop me a line on michael.trew745@btinternet.com or phone 07419 128240 am happy to pick up.